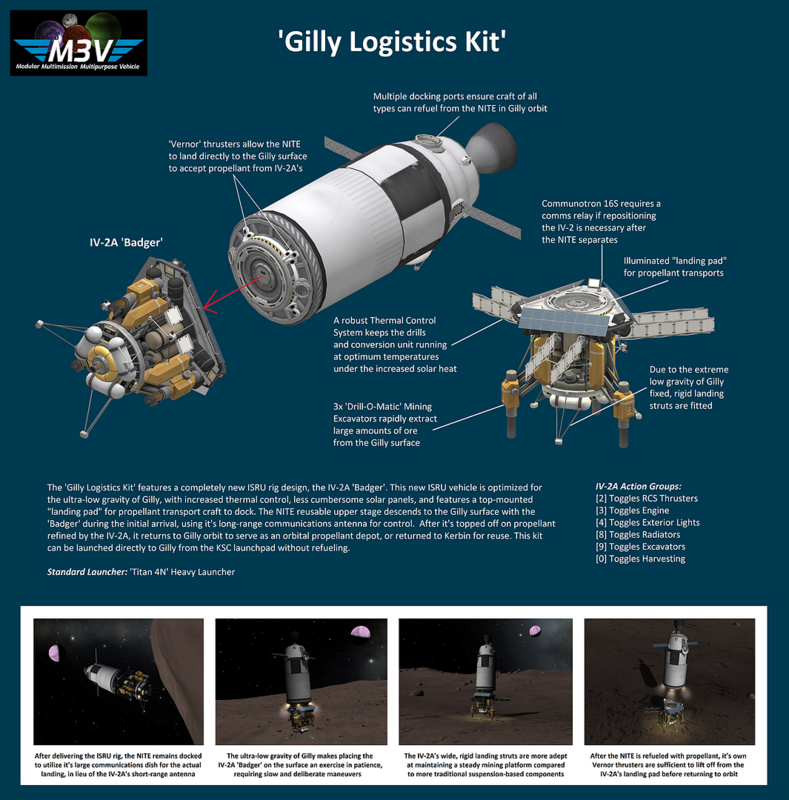 The ‘Gilly Logistics Kit’ features a completely new ISRU rig design, the IV-2A ‘Badger’. This new ISRU vehicle is optimized for the ultra-low gravity of Gilly, with increased thermal control, less cumbersome solar panels, and features a top-mounted landing pad for propellant transport craft to dock. The NITE reusable upper stage descends to the Gilly surface with the ‘Badger’ during the initial arrival, using it’s long-range communications antenna for control. After it’s topped off on propellant refined by the IV-2A, it returns to Gilly orbit to serve as an orbital propellant depot, or returned to Kerbin for reuse. This kit can be launched directly to Gilly from the KSC launchpad without refueling.